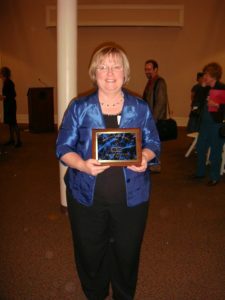 The Indiana Music Teachers Association is pleased to announce its 2011 Conference at Indiana University, Bloomington. The conference will take place October 21-22, 2011. 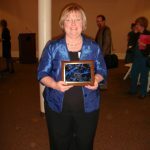 The 2011 Indiana Music Teachers Association annual conference will be held on the campus of Indiana University October 21-22, 2011. More information will be available on the IMTA website soon. Photos of IMTA members attending the 2011 MTNA Annual Conference in Milwaukee, WI. The 2010 IMTA Annual Conference was held at Wabash College, October 8-9 2010. IMTA’s 2010 Commissioned Composer is Don Freund. His composition, Autumn Songs, for piano trio, was premiered at the IMTA state conference on October 9, 2010. The performers were three talented pre-college students from Bloomington — Brian Allen, violin; Younghoon Koh, cello; and Margaret Chun, piano. Since 1998, IMTA has annually participated in the MTNA Composer Commissioning program. MTNA is dedicated to encouraging the creation of new works by American composers and annually assists state associations with the generation and performance of new music. Each state decides which composer to commission and what type of work. This year, IMTA chose to commission a chamber piece for the pre-college level. The commission paid to the composer is jointly funded by MTNA and IMTA. Three members of the Ball State University Collegiate Chap­ter represented the state of Indiana at the 2010 Music Teachers National Conference in Albuquerque, New Mexico. Each student submitted a conference retrospective on what this experience meant to them. We attended the collegiate chapters forum as well as the collegiate members reception and got to interact with a lot of other chapter members and their advisors. The national confer­ence will be in Milwaukee, Wisconsin on March 26-30, 2011. Make your plans now to attend the conference – let’s have a great representation from Indiana next year! While I have attended the IMTA state conference several times in the past, this was the first time for me to attend the MTNA national conference. I had a great experience; I made many musical contacts, was musically inspired by the master classes and performances, and gained a new respect for piano pedagogy. There were many sessions and master classes on Chopin’s works, some of which I have played in the past, but not to the level of detail that was taught. I especially enjoyed attending the master classes where the pianism as well as the teaching were of the highest caliber.